Back again - can you believe two posts in one day!!! If you are looking for my Meljen's Designs post please scroll down! 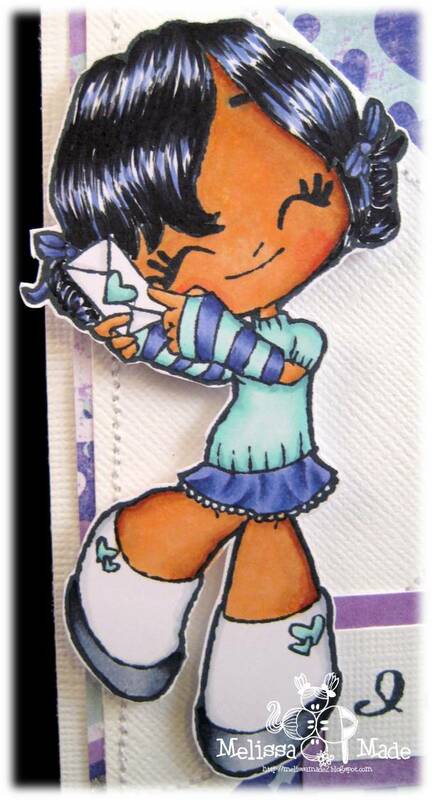 Well I just can't get enough of these adorable Some Odd Girl stamps! They are just too cute and our challenge this week at the challenge blog is a STITCH! That's right we want to see that stitching on your cards! 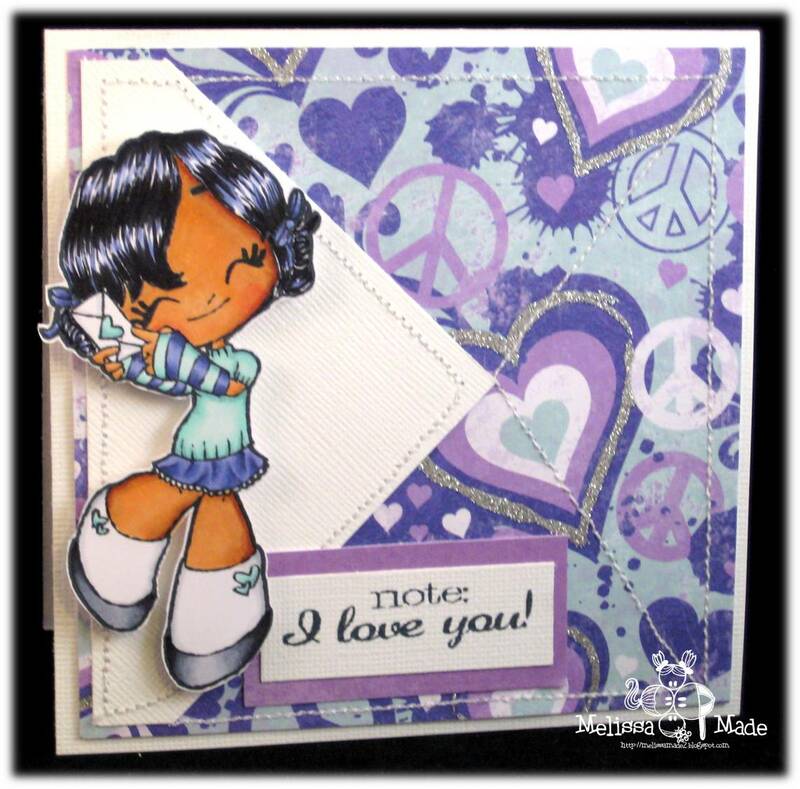 I used the sweetest Love Letter Kaylee clear stamp that can be found right HERE. What's that you say - don't like rubber - well no worries she comes as a digi too - HERE! Please head over and check out our challenge! You won't want to miss all the adorable sweetness the design team has created for you! Man those girls can rock the thread!!! Aww, this is so sweet. Beautifully colored and I love the papers you used. This is just too cute. After my first attempt at coloring yesterday I really appreciate the coloring and shading on this. TFS this beautiful card.... love the hair... wowsers! Your card is sooo lovely!! It remembers me '70 and hippie years, all so "love and peace"... ahaha so ispiring darling! The colours you chose are simply great and perfect for this work! How fun is this! This is exactly how I skip back from the mailbox when I receive a hand made card!!! YAY! hhmmmmmmmmmmmm I adore her super shiny hair! Great sentiment with the hearts full of love paper! Great stitching! Perfectly executed! This is soo cool. I love how the layout of your card sorta resembles and envelope! Neat. The pleats in her skirt are amazing and her shiny hair looks so perfect!! This is so adorable Melissa! I love those purples! PS you should enter this in the current challenge at Little Miss Muffet stamps (Purples, Blues and Greens)! Melissa, your card is just adorable!